Welcome to i-FM, the first and still the best online source for information about facilities management. This is a big and dynamic industry; it can also be pretty confusing. We're here to help you understand it and prosper in it – whether you're an in-house practitioner, a service provider or a newcomer to the whole strange business. With more than 18 years of accessible and searchable archives, no other resource is as comprehensive or as authoritative. If you're in FM, you need to be on i-FM. And if you want to stay up-to-date with the sector, you can’t do better than to subscribe to our services. All licence holders – whether you have a free Lite licence or our fee-based Full licence – receive our award-winning headlines alert emails. Sent every business day before 6.30am, they help to set the industry agenda – in fact, our news stories frequently turn up on other sites hours or days later: we’re the most emulated site in FM! But we are renowned for much more than just our news service. Subscribers with a Full licence can access all the resources provided by the site, which are the most extensive available in the sector - and which clearly differentiate our service offering. Resources – The Top 50, our own industry benchmark tracking the leading companies in UK FM; the i-FM Contracts Database, a unique record of every contract win we report; White Papers providing information, insights and advice drawn from our highly regarded Workplace Futures conference series; and Reports published by others and directly relevant to the FM industry. 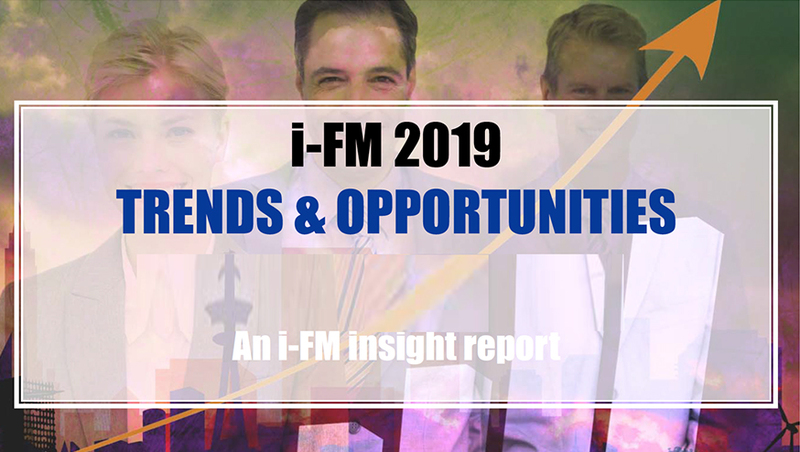 To discover the full depth of what i-FM has to offer, read our site guide. Comprehensive and reliable: no one else brings you more news, analysis, features, comment and opinions - all fully searchable in our 15-year-plus archives. Easy to use: site navigation is quick and simple; you can search our databases by keyword, phrase, date…. almost anything, really; built-in content links take you direct to relevant news stories, key documents and external sites. Award-winning: we won the International Association of Web Masters and Designers' Golden Web Award for design and content quality when we were just a year old. In 2003, we won the Business Services Association's President's Award – and again in 2004, 5, 6 & 7 we won the BSA's Best Online Publication Award – then they retired the prize! Valued: You don't have to take our word for it – read our testimonials. Over 18 years of history – fully searchable! Our entire editorial content – more than a decade and a half! – is captured in our database archives. That means you can search news, for example, by keywords or dates to track the history of an issue or an event, or to research a company or a trend. Stories are cross-referenced and include links to external sites. 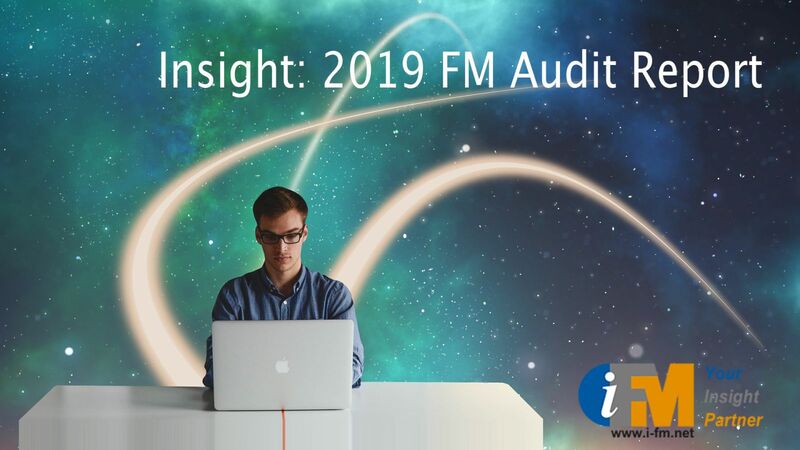 Launched in July 1999 as the first source of daily facilities management information on the worldwide web, i-FM has evolved with the market to meet the needs of a rapidly expanding and maturing sector. Now, in addition to our archive resources, we have the most experienced and knowledgeable editorial team in the business. Got a question, or need help with something? Click here to contact us. Want to raise the profile of your organisation and advertise to the largest FM audience on the web? This is the site that the leading providers in FM prefer: it’s the place to be seen, read and heard. Please contact david@i-fm.net on 07768 765967 for current availability, rates or metrics for the site. Banner campaigns can be fully reported on, providing useful metrics on exposure, click-throughs, and even detailing daily metrics of when and by whom. i-FM is published on the internet by Information Facilities Management Ltd. The usage permitted under these Terms is personal to you and is limited to reference purposes relating to your own personal non-commercial interests. You may not use any of the information or materials contained in the Site for any commercial purpose. In using the Site, you will not restrict, inhibit or limit any other authorised user's usage of the Site, nor will you do any act, including posting or transmitting anything, which is or may be unlawful, fraudulent, libellous, defamatory, obscene, pornographic, profane, threatening, abusive, hateful, derogatory or otherwise objectionable or which might give rise to civil or criminal liability or which may damage the goodwill and reputation of i-FM. Unless otherwise indicated, all rights, including intellectual property rights, in any and all content and structure of the Site ("Content") is the property of i-FM or its licensors. You may not make any copies or modify, licence, create derivative works from, transfer, post, publish, transmit, reproduce, distribute or in any other way exploit the Content without the prior written consent of i-FM. The Site is provided on an 'as is' and 'as available' basis. While i-FM takes all reasonable steps to ensure the accuracy of the information contained in the Site, you are advised to independently verify any information before you place reliance on it. i-FM accepts no liability for any material or information on the Site provided by any third party. i-FM accepts no liability in respect of any losses arising from reliance on the information provided. i-FM provides no warranty, express or implied, in respect of the Site and/or the Content. The Site contains links to third party websites. i-FM has no control over these sites and accepts no responsibility in relation to their operation or content. To the maximum extent permitted by applicable law i-FM excludes all liability (whether arising in contract, tort (including negligence), breach or statutory duty or otherwise) arising in connection with the Site.